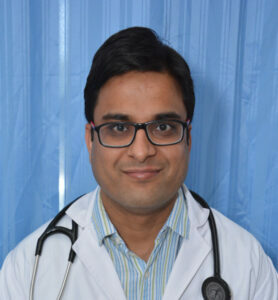 Dr. Pawan Mittal has done his MBBS from Kasturba Medical College and Hospital, Mangalore and Masters in Surgery from G.M.C.H, Bhopal. Then he did his M.Ch (super specialist training) in urology and renal transplantation from SMS college and hospital, Jaipur. After completing his M.Ch training, he worked in various super specialty and multi-specialty hospital he has experience of 9 years in field of urology. Now he is working as senior consultant in urology department of J.P hospital. He has expertise in endourology and laparoscopy. He also has special interest in andrology. He is well experienced in dealing with all kind of urological problems.